Although considered something of an outsider, Amlo has been a part of the political scene for decades. Andrés Manuel López Obrador’s landslide in Mexico’s presidential election this week was fuelled in large part by deep-seated disenchantment with the status quo. Not everyone who ticked his name on the ballot actually took him at his word when he talked about ending endemic corruption, violence and poverty. But the mainstream alternatives represented by the Institutional Revolutionary Party (PRI) and the National Action Party were justifiably considered hopeless. 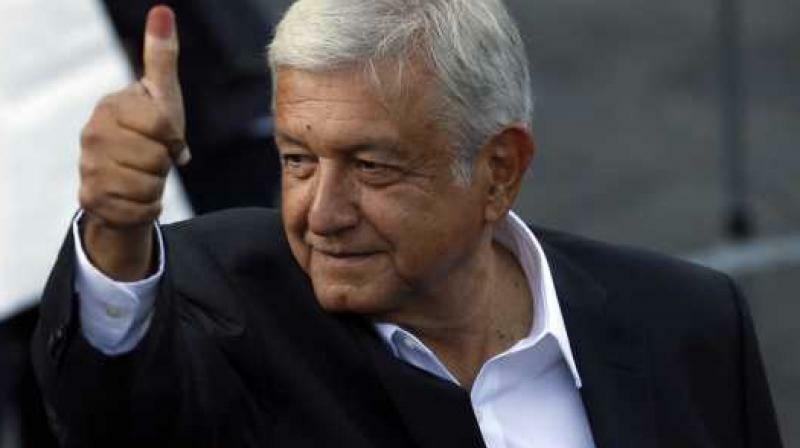 It has been apparent throughout the election campaign that the public mood has been geared towards giving Amlo (as López Obrador is popularly known) a chance. Although considered something of an outsider, Amlo has been a part of the political scene for decades. Initially a member of the PRI, which ruled Mexico for much of the 20th century, he had broken away and drifted to the left well before he was elected mayor of Mexico City at the turn of the century. He was successful to an extent in that capacity. Corruption remained entrenched, but it never personally touched Amlo, while his social measures and infrastructure projects left him with an enviable popularity rating at the end of his tenure. As a presidential candidate in 2006, he came within a whisker of winning, and subsequently blamed his one per cent deficit on fraud. An occupation of Mexico City streets by his supporters followed, but it eventually fizzled out, and Amlo’s tally in 2012 was less impressive. But he did not give up. During his first run for the presidency, Amlo was accused, particularly by business interests, of being a Hugo Chavez prototype whose policies would wreck Mexico’s economy. That wasn’t a valid comparison back then, while Venezuela’s experience with chavismo was proceeding reasonably well, and it was particularly absurd this time around, when the post-Chavez experiment has gone horribly awry. On the other hand, there are reasonable parallels to be drawn with Luiz Inácio da Silva, the long-time trade union stalwart who served two terms as Brazil’s President and might have returned to the post had he not been imprisoned on a corruption charge seen by some as vindictive. Lula, as da Silva is commonly known, took a gradualist approach that led to economic growth as well as a perceptible reduction in the levels of absolute poverty. Back in 2009, Barack Obama described him as “the most popular politician on earth”, and he left the presidential post at the end of 2010 with much of that popularity intact. Brazil has since returned, undemocratically, to the neoliberal orthodoxy. Mexican Presidents get only one term, so the 64-year-old Amlo will have just six years, after he assumes power in December, to implement his ambitious agenda. Obviously, not everyone who voted for him expects his government to succeed in recouping $20 billion a year from austerity and anti-corruption measures. He may well be able to reduce pay at the highest echelons of government (including his own) and increase it at lower levels. Amlo’s idea of milder punishments for petty criminals (in contrast to the weakest of his rivals, who talked about cutting off hands) also makes sense. And it is true that the drug trade has thrived partly as a consequence of collusion between the cartels and corrupt politicians or bureaucrats. But can he curb the kingpins — whose role in Mexican society accounts for most of the 130-plus murders in the latest election campaign among thousands of others? Relations between the two have been relatively harmonious since the 1950s, but inevitably took a turn for the worse with the advent of Donald Trump, who seemingly finds it hard to decide whether Canada and Mexico is the worse neighbour. All Mexican presidential candidates have pushed back against Trump’s abrasive and sometimes racist rhetoric, while simultaneously pointing out that a breach in ties with Washington is not a serious option. There are several criteria by which Amlo’s success, or lack of it, will be measured. One of them is whether the Mexican wave that propelled him into power will revive Latin America’s receding pink tide. It’s a tough ask, not least because the President-elect has promised not to tinker with the relations of production, and his Movement for National Regeneration (Morena), which may win a congressional majority too, is an ideologically disparate alliance. Only time will tell, but for the moment López Obrador represents a rare glimmer of hope.